The “B” word is getting a lot of play, and rightly so. Old models of command-control management and clawing one’s way to the top create conditions for bullying. What can employees do about it? Are they being “too sensitive,” which is a common refrain from alleged bullies? Or, are they misunderstanding or misinterpreting what is being said in ways that their bosses or coworkers didn’t intend? Perhaps if the perceived bullies knew how they were coming across, they would modify their language and behaviors. Here’s what employees can do to get clarity about the situation, constructively describe how they are receiving the language or behavior, and politely, yet firmly, request change. It’s a simple, powerful, and proven approach. (There are stories and examples of the process for making effective requests on pages 100-103 of my book, “Take Charge of Your Talent.”) I’ve outlined this approach with a sample dialogue below. * Intention–state your intention clearly in terms that show what’s in it for the person you are speaking to and for yourself. * Observation–describe what you observe in objective terms. Think through your feedback so that you can deliver it in ways that identify behavior rather than judge the other person, which would only create resistance and stimulate an adversarial situation. Don’t label their behavior as “bullying” unless you’ve completed this full exchange and haven’t gained effective resolution. * Request–make it simple, short, and direct. Wait for the other person to respond. * Confirmation–be clear about your agreement. 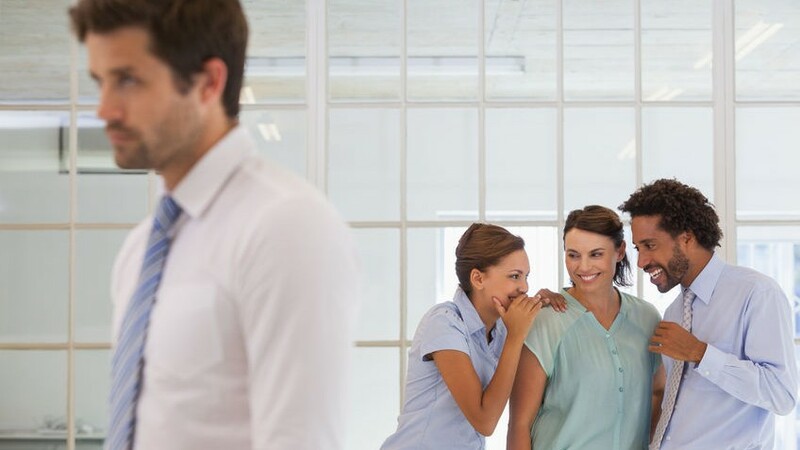 Note: Sometimes bullying occurs because bosses and coworkers are unhappy with the target’s behavior, but they aren’t addressing that behavior directly or productively. Employees need to be aware that they may need to make some changes in their own behavior in order to realize their intentions for a cohesive and constructive workplace.